Moving to a new country can be exciting and at the same time overwhelming. There are many new undertakings, including finding a new home, schools for the children and forming new friendships. It is all too easy to leave some of the financial, legal and tax implications for another day, but the cost of delay can be high. Here are the top ten planning areas to address when moving either side of the pond. Review any Trusts – If you are a trustee or named beneficiary of a trust in one country and move to the other, be careful of the tax treatment of the trust assets and ongoing reporting requirements. A simple living trust in the USA can become a UK resident trust when you come to be a UK resident. Similarly, a UK trust can be brought into the US tax system if a trustee or beneficiary becomes a US taxpayer. In both examples you could face unexpected and additional tax charges and reporting requirements. Ideally you should seek legal and tax advice before moving to either country, which may simply be a question of resigning as a trustee before you move. If not, you should structure the trust and underlying holdings appropriately before you move country. Protect your Estate – Estate taxes and inheritance taxes are different in both countries and, in the USA, you have the additional complication of different state rules. At the federal level in the USA, the individual 2017 estate allowance is $5,490,000. A married couple (both US citizens and long term residents) can shield $10,980,000 from federal estate taxes. The unlimited marital deduction also enables any amount to be passed to a spouse, free of federal estate tax. Non-US citizens, however, have a limited marital deduction of just under $200,000, so proper planning is needed to offset what can be a significant tax burden. In the UK, the estate allowance is far lower than the USA and the individual allowance in 2017 is £325,000. Married couples benefit from the inter-spousal exemption, essentially doubling the family allowance to £650,000. You may also qualify for the residence nil rate band, which will increase your allowance further if a residence is being passed on to a direct descendant. While UK domicile individuals are taxed on worldwide assets, non-domicile individuals are taxed on UK assets alone. The rules around UK domicile are complicated, so do not assume you are non-UK domicile because you do not live in the UK as it can be very difficult for someone to lose their UK domicile status. One bit of good news is that double taxation is generally avoided through the UK/US Estate Tax Treaty. Maintaining Foreign Property – If you are maintaining a property in the country of origin, make sure you are filing and paying the appropriate taxes. For example, British expatriates with UK property are required to pay UK taxes on rental income. This income also needs to be declared on the annual US tax return and the double taxation treaty allows you to use foreign tax credits to mitigate the risk of paying tax twice. Recently the UK government introduced capital gains tax on UK property for non-residents, which came into effect on 6th April 2016. Any non-UK residents holding UK property should arrange for property valuations from this date in order to have an appropriate record of cost basis for any future sale. Penalties for failure to pay taxes can be significant. You are also liable for penalties for failure to report even when no taxes are due. Review Mortgage and Insurance – Remember to inform your mortgage provider and home insurance company that you are moving abroad; otherwise you can invalidate your policy. This also applies to life insurance so ask your insurer if your life policy remains valid while you live abroad. The exact terms will vary among providers, but many policies will attach residency conditions that may require taking out a new life policy in your country of residence. There is an additional US annual reporting requirement for all foreign financial assets where the total value of these assets exceeds $50,000 at the end of the year, or $75,000 at any time during the year, for individuals, and double these thresholds for married couples. If you exceed these, all foreign financial assets need to be reported via Form 8938 and there are significant penalties for failing to file. Review Retirement Plans – It is easy to forget about retirement accounts in your country of origin as they are often paid-up and sitting in some form of managed fund. Do not discount these savings, however, as they will often form an important part of any future retirement plan. Investment risk, charges and flexibility should be reviewed on an ongoing basis. As a globally mobile individual, you will likely have different currency requirements for income at retirement than most other individuals. As such, you should consider what currency the underlying investments are held in. 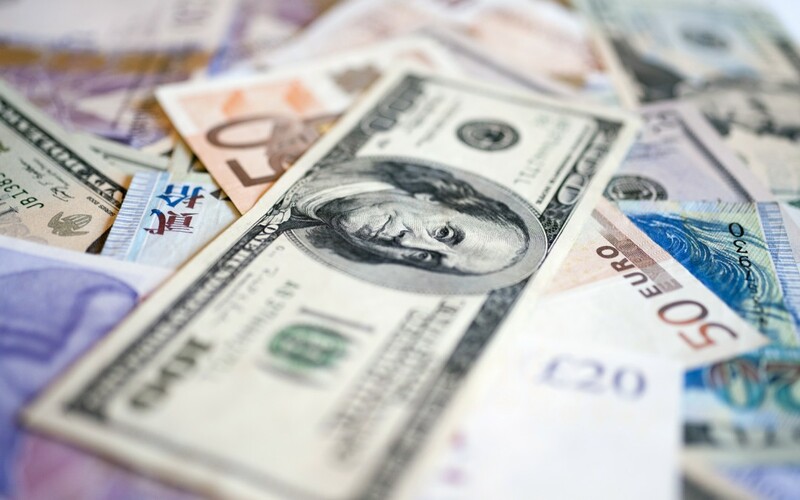 Be Smart on Currency – Do not assume your bank will provide a competitive exchange rate for transferring currency. In fact, your retail bank is likely to be the most expensive route. The FX market is evolving and fintech is challenging the norm in much the same way as Uber changed the taxi service industry. Specialist currency brokers and fintech firms are bringing more transparency to the market and can provide significant savings, which is magnified when moving large lump sums between currencies. Transparency, price and trust are important variables when evaluating which currency broker to use. Advice is Key – When moving countries there are many considerations over and above finding a new home, a good school for the children and adapting to a new environment. Use professionals who have experience working with cross border families. Your financial advisor, accountant and attorney should work as a team to ensure you reach your goals, plan effectively and maintain compliance. Cross border advice does not need to be more expensive than the norm, but professional experience is essential.